As previously announced a Special General Meeting has been called for this Thursday evening (14thMarch) @ 7.15pm. The purpose of this meeting is to seek approval for a Club Constitution amendment to allow current Life Members to also nominate candidates for Life Membership. Currently, the Constitution only allows for Medallion Holders to nominate candidates. Your attendance at this meeting is keenly sought so that we can pass this important resolution. To coincide with this we will also be holding the Members’ Draw as well as the popular Members’ Schnitzel night. ‘Schnittas’ are $12 (plus sauce) for Adults & $6 for Kids (incl a drink). We will not be taking Bookings on the night, rather it will be on a ‘first come, first served’ basis. An intended ‘dig free’ zone south of the boat ramp. Appropriate signage to be used where possible to identify areas impacted by the digging & carting of Sand. Sand Piling to be ‘roped off’ where practicable, to minimise the likelihood of sand movement impacting on access & egress to the beach via the Boat ramp. We have also requested that Sand Piling be minimised from Friday afternoon until Monday morning. A regular weekly update between the Department & the Club on excavations that may or may not impact on both Club activities & the use of the beach by the General Public. We were informed that due to equipment malfunction on Friday afternoon of last week, sand piling was impacted and it is not the intention of the Department that this quantity of sand is to remain on weekends. The sand carting operations are expected to continue for a further 2 weeks. Mandy would like to hold an extra March Past training for Team A on Fri 15th March at 6pm after board training. This Saturday we will be finishing off our Club Championship events – Sprits and Flags. We will muster at the usual spot at 12:45pm. We will set up two flags tracks and a Sprint Track and rotate our junior teams through starting with our older teams. We are hoping to wrap up training early this day to ensure we have enough time to enjoy our BBQ and free lottery as well as present all our Medal Winners. Medals will be awarded to the Champion of each event (for each gender) in each Age Group. We will have the run of the main club this Saturday so please hang around to celebrate all our Junior Event Champions. Bistro open from 6pm Thursday and Friday night. Bar open from 5pm. Come down, enjoy a bite to eat and refreshment and soak up the spectacular view. See you on the Balcony! As the predicted temp for Saturday at Semaphore South is 38 we have decided to move Nipper Training/Club Championships to earlier in the Day. At this stage we will muster at 9:45am with training/champs to follow at 10am, ending at 12pm. In addition a call will be made on Flags and Sprints on the day as to wether they will go ahead or if they will be delayed to the following week. Also our wet bar may be moved to the Training room for greater comfort. On this day instead of training, our age groups will be competing in our annual Junior Club Championships. Points will be awarded towards the end of season Age Group Championships and medals will be awarded to the Champion of each event in each Age Group. After training we will be having a BBQ, a free lottery of items purchased with a donated $250 Rebel Sports voucher as well as Age Group Event Champion Medal Presentations, down stairs in our Wet Bar area so please hang around to celebrate all our Junior Event Champions. 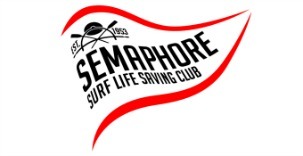 Nominations are now closed for Semaphore Gold and the final details of the event will be communicated by Saturday March 2nd. We have not received any nominations for parent helpers for this event. If no nominations are received by end of training Saturday then the event will be cancelled. Parent assistance is required to man 3 – 4 water/refreshment stations. This is for the benefit of all the competitors. Depending on temperatures course may be modified to keep the competitors closer to the club for safety. Things are ramping up for the last half of our season, and there’s lots of things happening so keep an eye on the calendar to keep upto date. Congratulations to the winner of last week’s $600 Members draw! A reminder that for the remaining weeks of the Competition season, the Club Members Draw will be held on a Thursday at approx. 7.15pm. As the Jackpot went off last week, we start again this week at $300. Proposed Layout plans for Memorabilia are now on display at the Club. This is an important feature of the Club and feedback is most welcome. Email raelene.donnell@gmail.com, call her on 0415 299952 or catch her at the Club. This Saturday March 2nd the Club is hosting a Wedding Reception with access to the upstairs area being restricted for the day. The Members’ Wet Bar will be open immediately following Nippers Club Champs & we will be holding a free BBQ after training for the hungry mouths!! There will be a free raffle after the Club Run/Swim/Run. The canteen will run out of the Training Room before Nippers on the day. We are planning to hold the Club’s Annual Awards Night on Saturday the 15 th of June at the Clubrooms. The format of the evening will be returning to a Cocktail Party theme as it was until recent years. More information will be provided on this night as we get closer to the date. Please put this date in your diary. Bar open from 5pm and Bistro open from 6pm Thursday and Friday. Come down for a meal or beat the heat with a cool drink.